The beyerdynamic MC-930 is a small-diaphragm FET condenser with a reputation for a very clean, detailed sound. 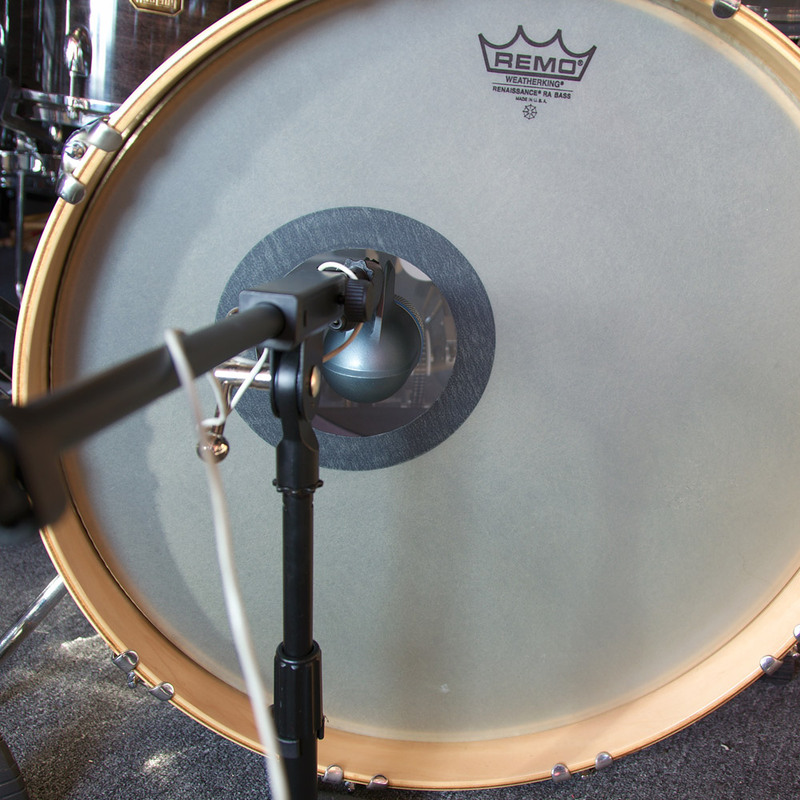 We posted samples of the mic on strings and percussion in Dren McDonald’s recent review, but hadn’t had a chance to try the mics on drum kit until now. 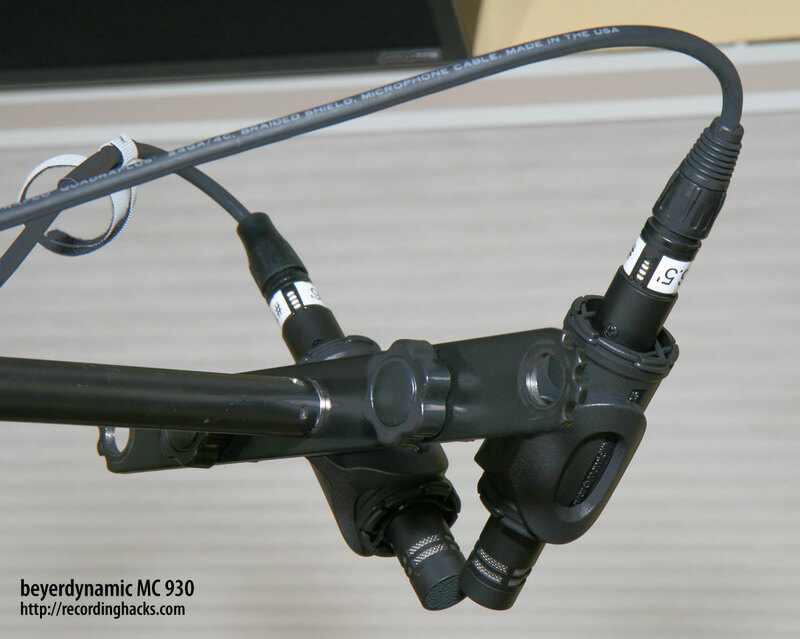 The MC 930 (pair cost: $1150), alone among these three mics, has a fixed Cardioid pickup pattern. It has the highest sensitivity of all three (30 mV/Pa), and seems to tie the MK-012 for low self-noise. Physically, the mic is compact and solid, with recessed switches for the onboard pad (-15dB) and filter (-6dB/octave @ 250Hz). The flat black finish on the demo units was beautiful, and flawless. The Oktava MK-012 (modded pair cost: $790) has been my go-to overhead mic for years. They have an extended frequency response, excellent transient response, and a very natural sound. I loved the mics stock, and I like them even better after modification by OktavaMod. They have the lowest sensitivity in this group of mics, at 10 mV/Pa, but tie the beyerdynamics for low self-noise. They have no onboard pad or filter, but there is a detachable inline -10dB pad (not used in this test). The AKG C 460 B (modded pair cost: about $800) is no longer in production, but can be found at auction easily. The stock mic is a transformer-coupled FET SDC that, like the MK-012, comes from a modular microphone system with numerous capsules and accessories. The head amp has a single recessed switch for a pad (-10dB) or either of two high-pass filters. I recorded the same passage three times, once through each pair of mics. Each pair was hung in an XY configuration, 36'' above the snare drum. I used the preamps in my BLA-modded Digi 002, with the 002’s HPF engaged. Because the MC-930 has such high sensitivity (30 mV/Pa), I engaged the mics’ -15dB pads to prevent overloading the preamps, then dialed up the preamp gain to about 9:00. The C 460 B’s were handled similarly: onboard -10dB pads engaged, plus a bit of preamp gain. The MK-012s were run without pads, and the preamp gain was zeroed. All the clips were gain-matched in Pro Tools, output as 24-bit WAVs, then converted to MP3 via Peak LE 6. Listen blind to the three tracks here, then click the button below to reveal which is which. Which flavor do you like? This was a fun test, because I’ve been looking for a mic that would best my MK-012 for a long time. I think I finally found one. But let’s start with the most neutral mic of this lineup: the modded C 460 B. It has the least low end of these three mics, as evidenced by the sound of the bass drum. Also, this clip sounds very dry and two-dimensional; I don’t get any sense of the room. The MK-012 has significantly more low-end bloom. 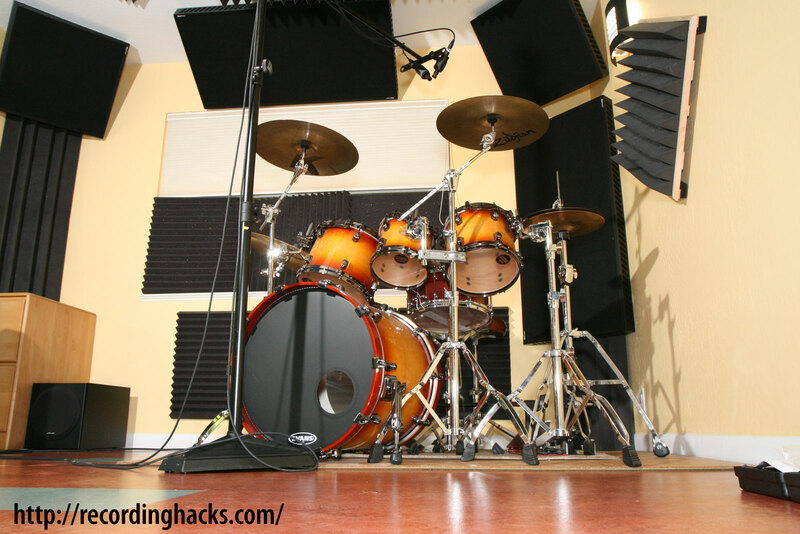 It’s a warmer sound, with a more distinct sense of space around the drums. 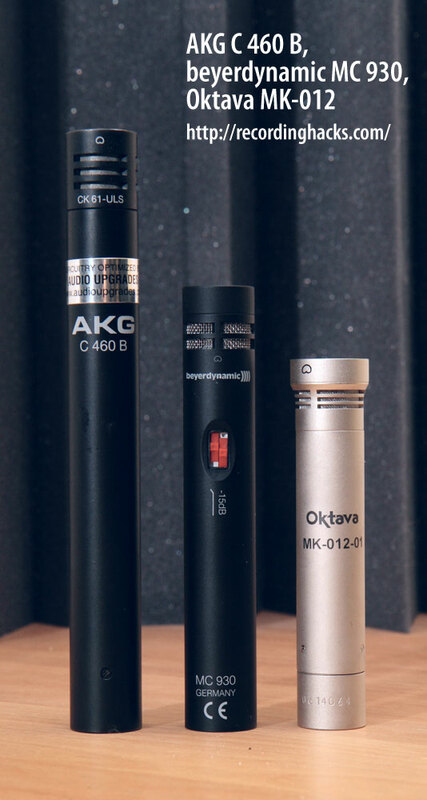 The MK-012 has a broader Cardioid pickup pattern than these other mics; that is why they hear more of the room. For the same reason, there’s more bottom-snare sound in the Oktava clip, too. The low-frequency warmth and broader pickup pattern create an immersive sound, which is what I’ve always loved about these mics. Now let’s consider the MC 930. The beyerdynamics have more low end than the AKGs, making the AKGs sound thin and flat. Compared to the Oktavas, the beyers have less low-end. But the lows on the 930’s are tighter and cleaner. The MC 930 makes the MK-012 sound a bit wooly. In terms of the low end, the MC 930s sit right between these other two mics, and they make the other mics sound flawed by comparison. 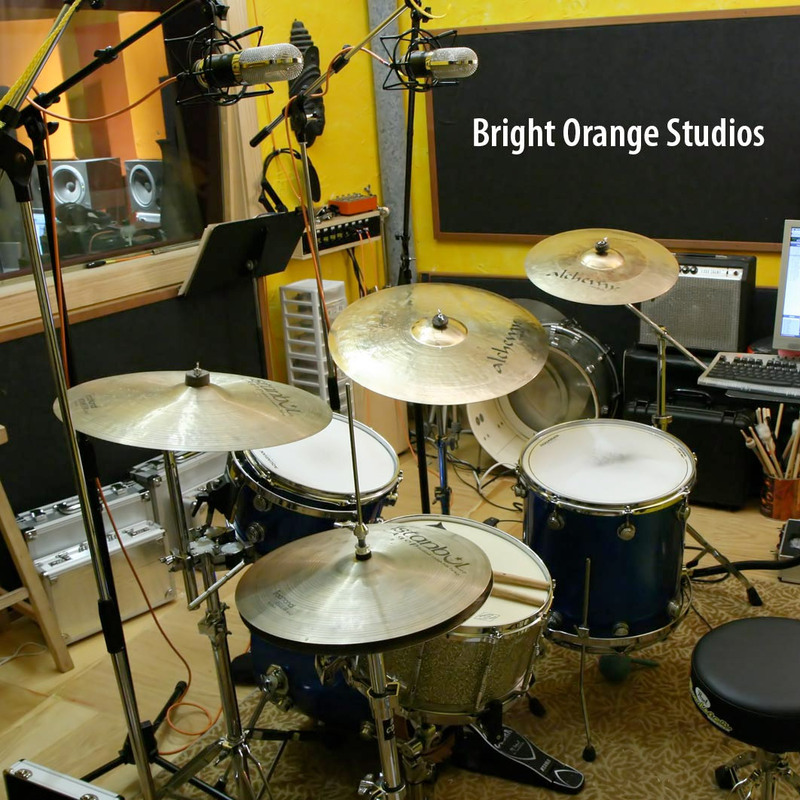 Needless to say, in a real session the kick drum would always have its own mic (or two), so there is no need for the overheads to capture much low-frequency information. In that context, the C 460 B is arguably more mix-ready than these other mics, although I still think it sounds a bit 2-D overall. These impressions survived the addition of a LF shelf (-7dB @ 100Hz) on the master fader. The Oktavas still had a warmer, but slightly sloppy low end; the AKGs still sounded a little bit thin, and I still preferred the MC 930. At the other end of the frequency spectrum, the differences among these mics are more subtle. After much listening, I developed a preference for the AKG and beyerdynamic. All three mics produce clear, bright cymbals, but the Oktavas seem less controlled, and create a pinched quality in the frequency range of my hi-hats (Zildjian K/Z 13'') that sets my teeth on edge. Differences in these mics’ pickup of middle frequencies are harder to distinguish. Looping the fills, the MC 930 and C 460 B are very close, with the MC 930 having just a bit more presence. The MK 012 pair picks up more of the room, making the snare buzz more audible. But the tonal differences are minor. All three mics have excellent transient response. Rimshots are clean and clear, with an in-your-face presence. All three do a great job of capturing the bite of the snare drum. 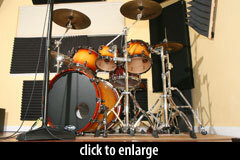 While any of these microphones can be effectively used on drum overheads (and indeed have been! ), in this particular test I found the beyerdynamic MC 930 to present the most appealing combination of low-frequency warmth with high-frequency extension. 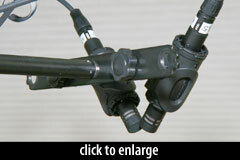 These mics capture all of the drums’ attack, and render the cymbals with detail, clarity, and without fatigue. 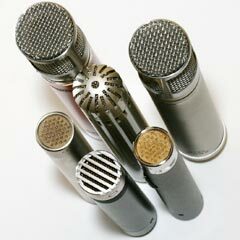 While all three of these mics captured an engaging and believable track, if I could keep only one it would be the MC 930. Yes, they’ve nudged my beloved MK-012s out of first place! We have no affiliation with Oktava, beyerdynamic, AKG, Audio Upgrades, or OktavaMod, and received no compensation for this review. 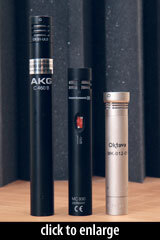 The MK-012 and AKG C 460 B are personal property, for which full retail price was paid (including mods). The MC 930 pair was provided on an evaluation loan, and unfortunately has to be sent back. Thanks to Gabe Whyle of American Music and Sound for coordinating the loan of three (!) MC 930s for evaluation. On a quick listen I found the Oktava MK 012’s sounded slighty meatier, ballsier, oomphier etc. Then Beyer, then AKG. Hope I win the mic, thanks for the chance to win. Called all 3 of these out immediately. All sounds were very characteristic of their respective mics: AKG – very flat, balanced mix, what gave it away for me was the fullness of the toms and relative lack of hihat compared to the snare drum. The Beyerdynamics sound great, similar but with a bit of a lift that gives it a really cool character. The Oktavas were brighter still, I don’t know about ballsier and all that. People love Oktava’s, that’s cool. Not my bag though. This is great! I have been using Cs1000s as overheads and they sound like total crap! I have gone through SEVERAL forums and user comments, though informative can be confusing…as there are soo many different tastes. I like this because it compared 2 overheads I have been looking at. While the Octavas were meaty, they lacked the control that the Beyers have. I felt the 930’s gave the impression you were right in front of the kit. A very well rounded set of overheads. I think these will indeed be my upgrade. You have the same ears that I do. I picked B first, C second, for the same reasons. The Oktavas are just a little “smeary,” but they have a good sound. Were these ones modded? @Marcus, yes, the MK-012s were modded. But the sound of the mic is mostly determined by the capsule, which remains unchanged.